I never bought sweaters for my children and always used to knit it myself. But when my children became a little old I started working and couldn’t pursue my hobby due to work pressure. After retirement I started knitting again. Knitting gives me a sense of freedom as I can knit whenever I want. Also it keeps me always busy. Sometimes my children scold me also as I get a backache if I knit for too long. My daughter-in-law gave me a knitting book few years back. I have learnt to make many new designs from there. 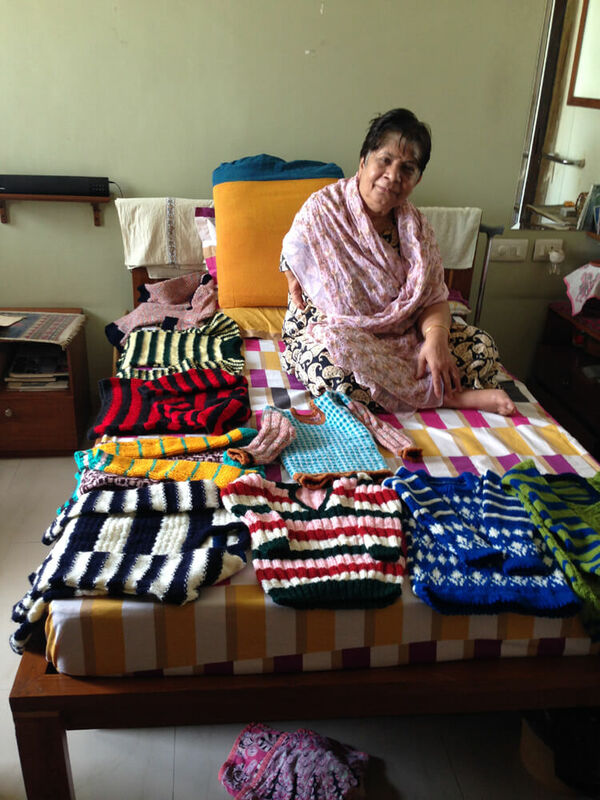 Till now I have knitted more than 1000 sweaters and mufflers. Few days back I learnt to knit a pair of gloves from YouTube. I never knew we could learn to knit from there too! Thanks to Samvedna Care Specialist for helping me learn to use my IPad for different purposes. Next I want to learn to knit socks and other baby items for my soon to arrive grandchild. People keep asking me to knit for them wherever I go and I find it very difficult to say no to them. Right now also I am knitting a sweater for my driver’s son and hope to complete it in the next week. I gift sweaters or mufflers to my friends and family on their birthdays and anniversaries. 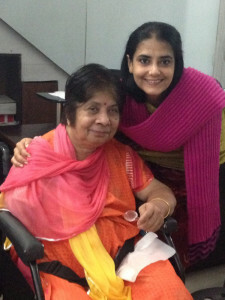 It makes me very happy when people wear my knitted clothes and I feel they will remember me whenever they will wear it. I have knitted sweaters for my fellow friends at Samvedna too. I also donate my handmade sweaters to under privileged children through an NGO. 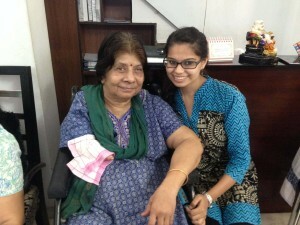 Mrs. Das is truly an inspiration for everyone. In spite of her physical challenge she has a never say die attitude and is always cheerful, happy and smiling.